I'm sponsored! Please choose another child from the previous page. Hello, my name is Harrington and I am six years old. I live with my Grandmother and five siblings in the Chipata Compound and I go to Lifesong Harmony School. 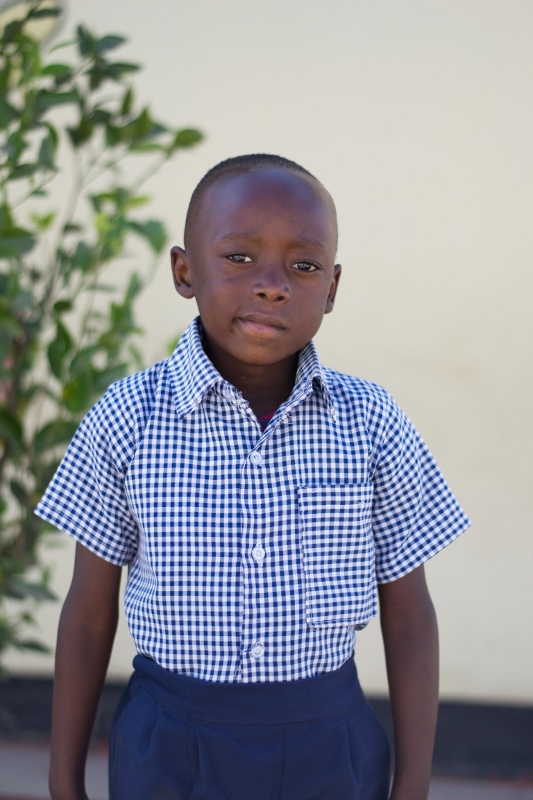 My favourite subject is social studies, and when I have free time during recess or after school I like to play in sand and with my best friend, Blessing. I also want to share with you that my favourite colour is red. When I grow up I want to become a soldier so I can protect my country and the people that I love.